Although not a thriller in the traditional sense of the word, Sylvia Stein’s newly released novella, CLOSURE, has elements of the psychological thriller contained within its pages. In any case, it explores the darker side of human nature…with elements of hope sprinkled throughout – just the kind of story I love reading, so I’m thrilled to feature it here today. Sara James was an only child who loved the world and life. Sadly, her world came to a screeching halt upon the news of her mother’s tragic death. Devastated by the loss of his wife, Garrison neglects his daughter and turns to the bottle for solace. Desperate to feel loved and wanted, Sara tries to pickup the pieces of what was left of her family. Sadly, no matter how hard she tries, her father continues with his lust for the bottle and spirals down a dark and abusive path. Once removed from her home, Sara tries to pick up what was left of her life and begins to live again. She becomes a successful caterer and fights to maintain her promise to never look back. However, what Sara does not realize it that once she leaves his side, Garrison is forced to recognize what he has done and begins to work on himself. Slowly, with the help of others and by his own will, he begins to try to mend his past mistakes. In the meantime, a phone call threatens to end Sara’s promise. Garrison is on his deathbed, and he is asking for his daughter. Will Sara face her father? Will she reject his request, or will she finally fight back and tell him what she really thinks of him? Will Garrison be able to make amends with his estranged daughter? This is one story of a daughter who is trying to move away from her past in order to move forward and a father who is trying to go back and admit his regrets. Hi, Sylvia. Thanks so much for visiting my blog. How would you describe your book to someone who has not yet read it? CLOSURE is a journey of heartbreak and inspiration seen through the eyes of Sara James and her father, Garrison. The message is to always strive for faith, which leads to hope and that you can always choose to turn things around even when life places many obstacles in your path. The theme would be the effects of losing a loved one and the grief it causes when it leads them to a path of destruction in the addiction to alcohol, abuse, neglect. This is a fictional story that was based, in part, on people I know. One being me, since I grew up in a family that was destroyed by alcohol. My parents got divorced, and that made me and my siblings very sad. We had always been close to our parents, but the drinking got in the way of that and my mother was fed up. Although my father never abused us mentally or physically, his drinking caused him to lose many jobs, and that left my mother with the burden of worrying about how we would make ends meet. He eventually got sober, but we went to live with my grandparents, although we got to see my dad and spent time with him. My mother and he were better friends later in life. The idea came to me in my Creative Writing Class at Southern New Hampshire. The novel came first, but as I said it began as a short story in class. Then, the title came right after that. I really like the scene in the beginning because it sets the tone of the story, and then the moment when Sara confronts her father years later. No, I think I would not change anything. I have always loved to write, and then I wrote short stories with my Writers 750 group on LinkedIn, but I had always wanted to write my own book. I think for me it is that you can never give up on your writing if that is something you want to do, and always pay it forward to other writers and your readers, as well as yourself. My favorite part is writing it and finishing it. My least favorite part is editing because I tend to go back and rewrite and rewrite. LOL! I have never written a psychological thriller, and I am working on one now. Great! 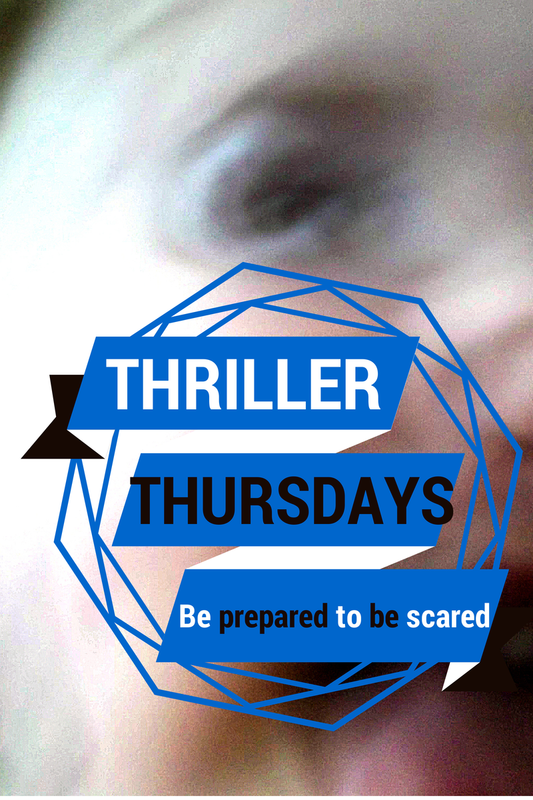 I’d be thrilled to feature that book on my Thriller Thursdays when it’s done. What book are you reading right now? I just finished reading PIECES OF ME by my talented writer friend Elle Henry. I am working on my National Novel Writing Month book called CHASING CLARITY. Never give up, and keep working on your writing always. Is there anything specific that you want to say to your readers? I just wanted to thank them for all the support and also for inspiring me to create stories they will enjoy and love. I really appreciate you taking the time to stop by and introduce us all to CLOSURE, Sylvia, and I really hope all my readers will check it out. Author Sylvia Stein began her path to writing when she joined the Writers 750 group on LinkedIn in 2012. With the help of her editor, CLOSURE grew from a short story to a full novella author Stein is excited to share. Visit her Amazon author page to learn more about Sylvia and her writing. Thank you Mishael and I would love to come back and I most definitely will keep you posted on my psychological thriller!